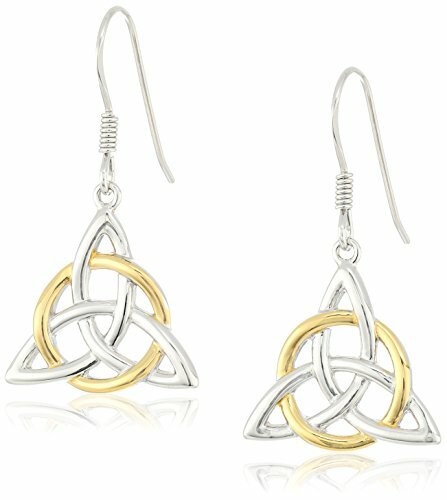 WHITE GOLD STUDS KNOT EARRINGS: Wear these womens stud earrings day or night. Ideal for bridesmaid earrings, wedding receptions or your own especial day. Compliment your ear lobes more than ever with these shimmering stud gold earrings! 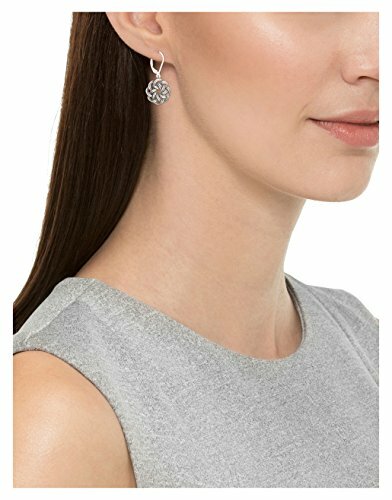 Absolute must have stud silver earrings for women. STUD EARRINGS FOR ALL HAIRSTYLES: No matter if you love keeping your hair up, down, enjoy the curly or absolutely straight, these white gold plated sterling silver earrings will always find a way to make themselves visible. Put them on, feel attractive again, exude elegance and enjoy life to the fullest. 18K WHITE GOLD PLATED SILVER EARRINGS: Made of high quality white gold plated sterling silver, you may rest assured that Chic Code love knot earrings can withstand everyday use. They won’t lose brightness or become dull unlike other these earrings for women out there. Cause Your Ears Simply Deserve The Best! 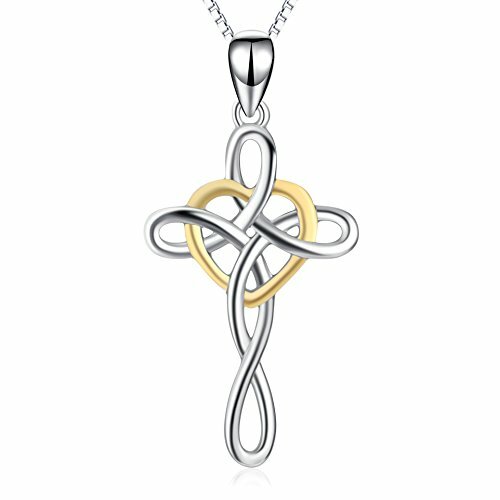 Being extremely elegant yet not pompous, our love knot white gold plated earring set is what every woman is dreaming of. Fashion and passion combined with unparalleled taste and endless comfort. They are lightweight so as not to tire your ear lobes and eye catching as a way to make every appearance of yours absolutely stunning. 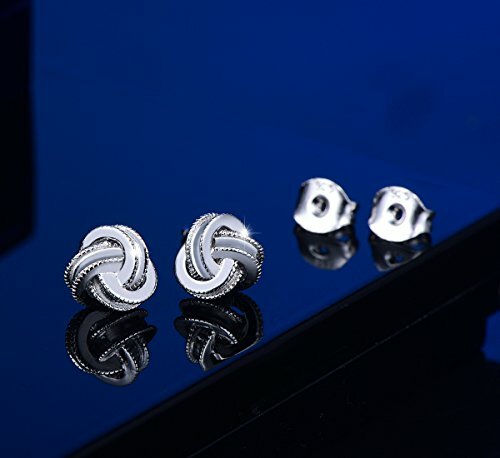 Designed to accommodate even your most demanding needs, these twisted triple knot earring studs are exquisite, as they’re going to accentuate the length of your neck every time you wear them. Mix & Match Them With All Hairstyles! 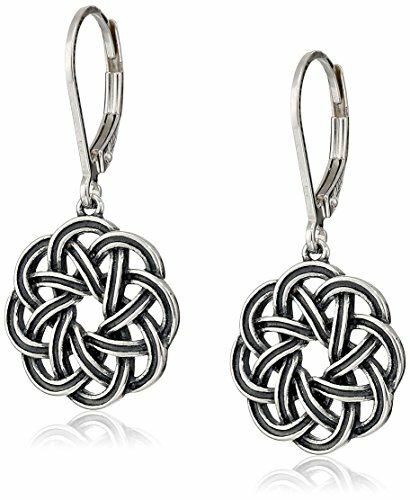 No matter how you wear your hair, these knot earrings are the answer. 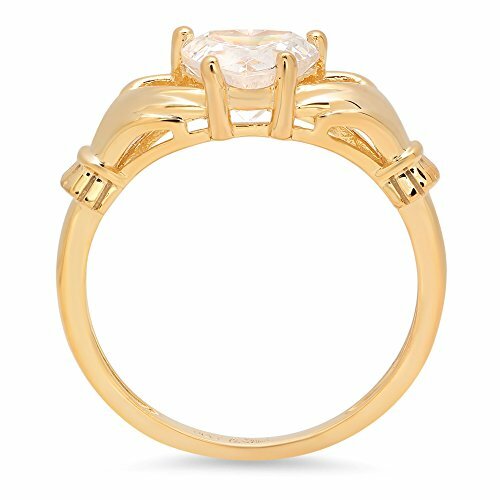 Ideal for wavy, straight and curly hair, layered, loose updos, short, medium or long hair, romantic hairstyles, bridal hair, ponytails, braided, and fishtail braids as well. Wear them to any important or joyous celebration. Ideal for graduations, anniversaries, birthday parties, christenings, proms, bachelorette parties, wedding receptions, valentine’s day, national holidays, Christmas, traveling, and any other special occasion. 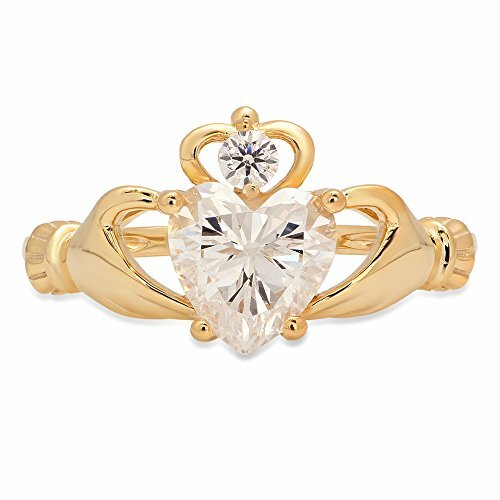 Made With Love & High Quality Materials! 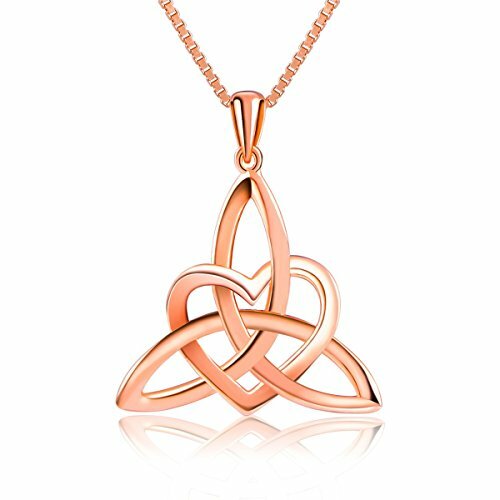 Chic Code women jewelry collection is meticulously designed as a way to offer you the finest jewelry, without having to break the bank. 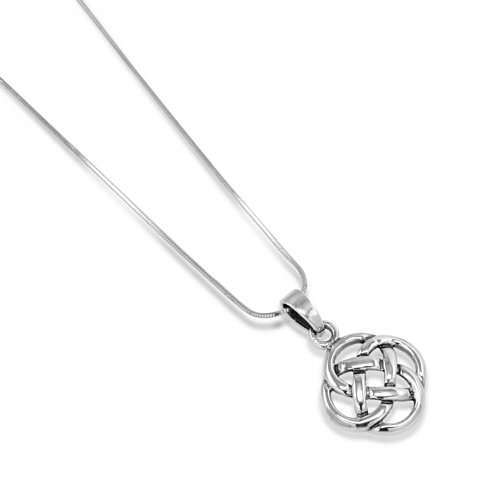 Crafted with 14K white gold plated sterling silver, these love knot earrings are here to stand the test of time. 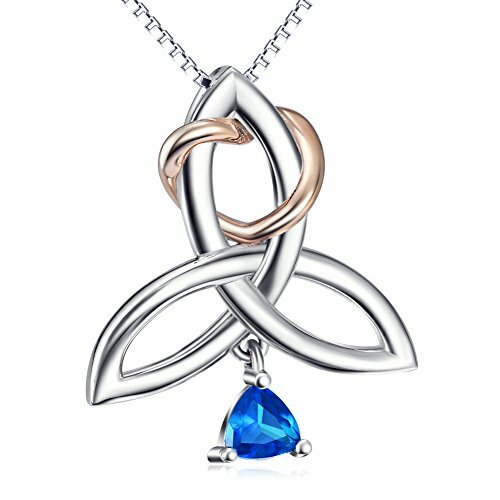 They are encased in beautiful chain edging and will change into your number one choice every time you go out! No more waiting. Place your order today, and get these dazzling earring studs the next day to come! 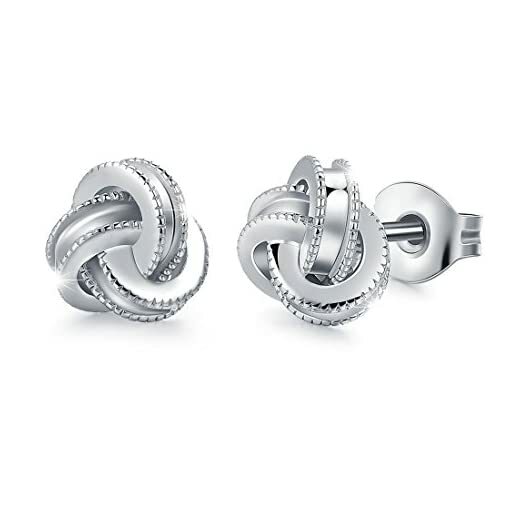 WHITE GOLD STUDS KNOT EARRINGS: Wear these womens stud earrings day or night. Ideal for bridesmaid earrings, wedding receptions or your own especial day. Compliment your ear lobes more than ever with these shimmering stud gold earrings! Absolute should have stud silver earrings for women. STUD EARRINGS FOR ALL HAIRSTYLES: No matter if you love keeping your hair up, down, enjoy the curly or absolutely straight, these white gold plated sterling silver earrings will all the time find a way to make themselves visible. Put them on, feel attractive again, exude elegance and enjoy life to the fullest. 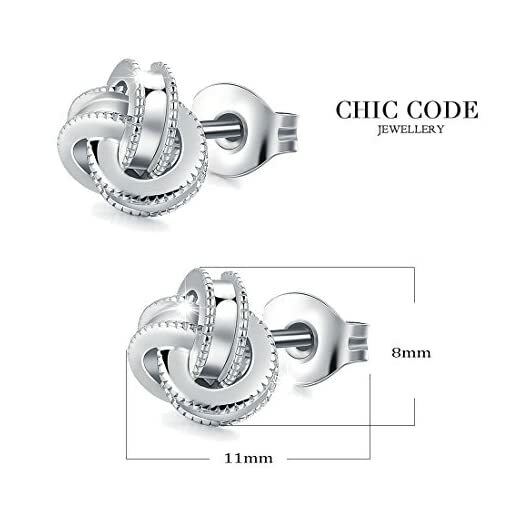 18K WHITE GOLD PLATED SILVER EARRINGS: Made of top of the range white gold plated sterling silver, you can also rest assured that Chic Code love knot earrings can withstand on a regular basis use. They won’t lose brightness or change into dull unlike other these earrings for women available in the market. 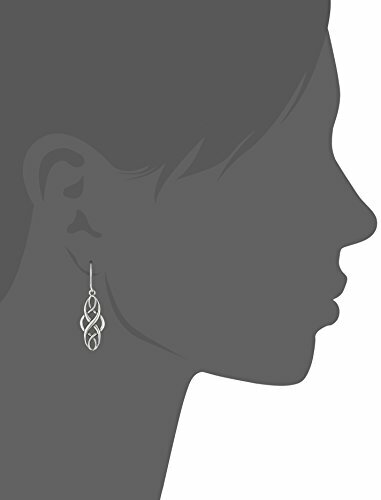 WILL NEVER IRRITATE YOUR SENSITIVE EARS: Thanks to their hypoallergenic and nickel free construction, these sterling silver knot earrings will never cause skin irritation or itchiness. Ideal for girls, teens, women of all ages and those with sensitive ears as well! 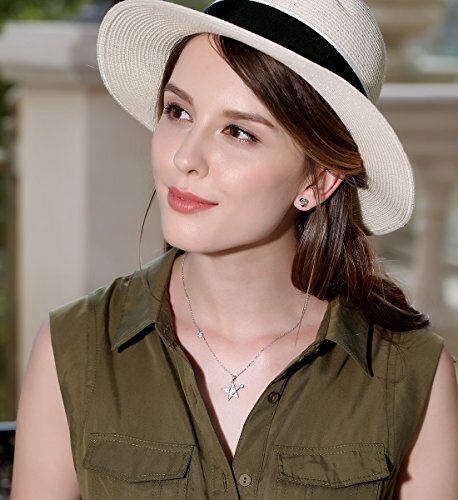 GET THESE EARRINGS STUDS RISK FREE: Since your satisfaction is our top priority, these studs earrings for women are backed by our unconditional 30-day money back guarantee policy! 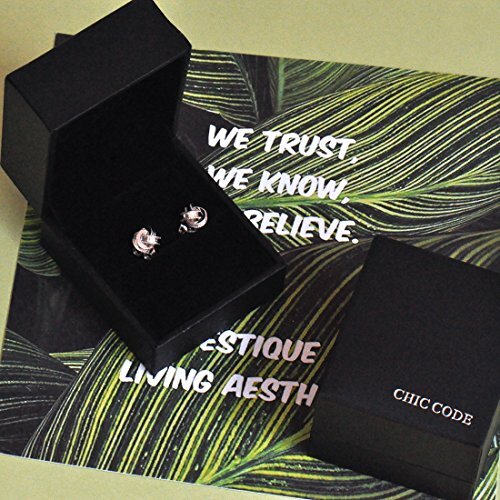 The white gold earrings come in a cute gift box. 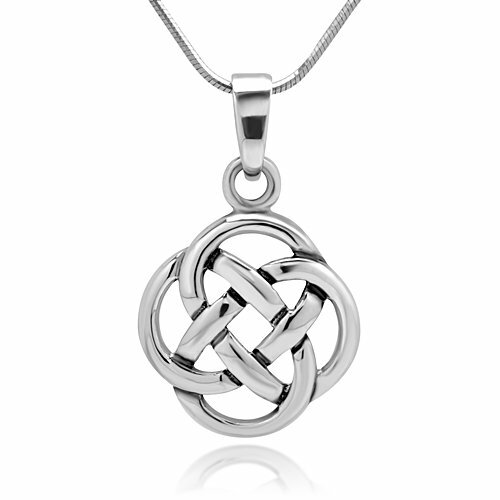 Make a thoughtful gift today.